Artists Jérémie Cortial and Roman Miletitch have developed an innovative, new and improved way to play pinball. Gone are the days of traveling to the arcade to try and beat high scores, and actually, gone are the glory days of pinball in general. To make pinball great again, Flippaper from Cortial and Miletitch enables the user to draw the entire course, obstacles, flippers, bumpers, and all, with their own two hands. 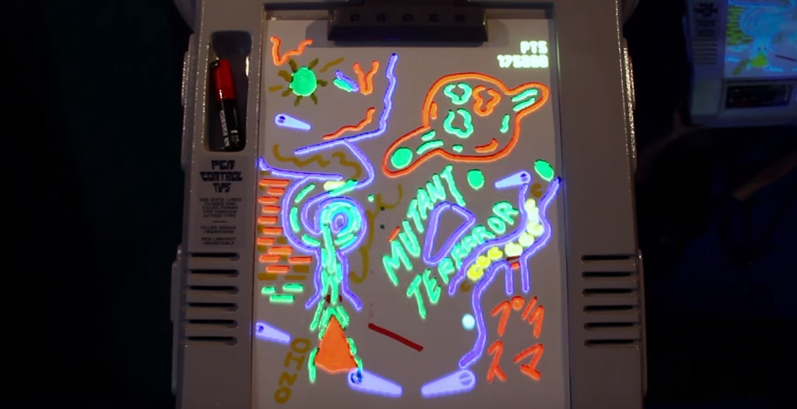 Using four colored markers to sketch out your design on paper, the machine then traces your doodles, ultimately creating a playable, virtual game. So essentially, you get to create your own virtual pinball masterpiece, then bring it to life immediately after by completing your design. If nothing else, Flippaper is a great idea when it comes to merging artistic designs and gaming into one product, and pinball is just the tip of the iceberg.